As a close friend, I’ve been exceptionally fortunate to have known Bill for fifty two years. We collaborated on various print and sculptural projects from 1963 to 2000. He was a talented artist, excelling as a draftsman, sculptor and printmaker. His witty, warm and inimitable personality is evident in his work and personal relationships. I first met Bill in 1963, on my first day at John Herron School of Art in Indianapolis, Indiana, as a newly-enrolled graduate student. 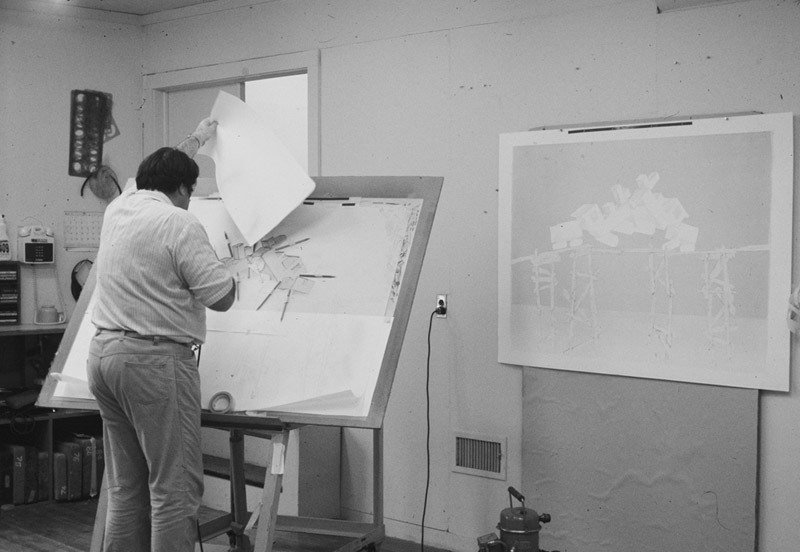 He was assisting Garo Antreasian with printing a large lithography stone in the printmaking studio. 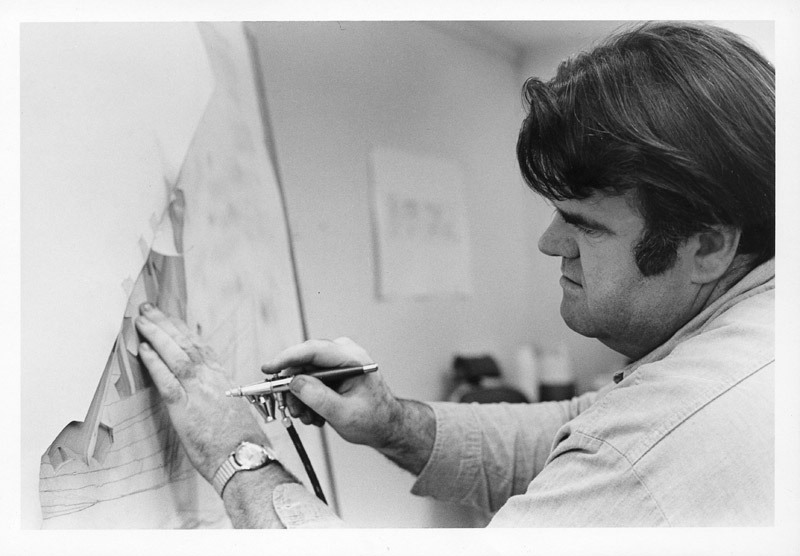 Bill had just returned from Germany as a Fulbright Scholar at the State Art Academy in Hamburg and had joined the faculty of Herron as a drawing instructor. During my year at Herron, earning a Masters degree, I studied lithography and painting with Antreasian and drawing with Crutchfield. 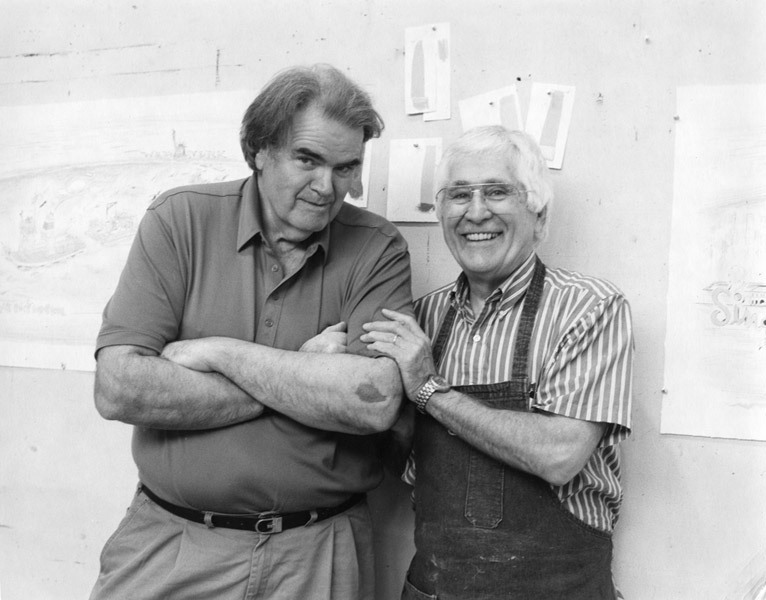 Bill and I immediately recognized our shared interests in many creative areas as well as our similarities; we both were from the Midwest and were born weeks apart. 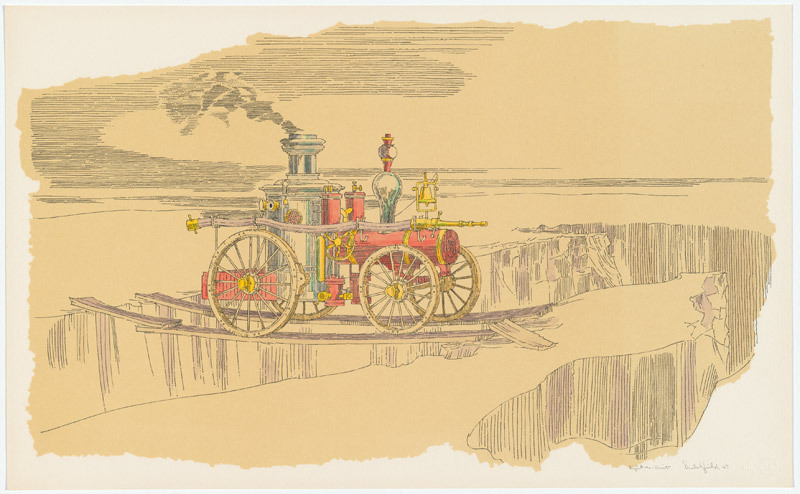 After graduating from Herron and receiving a Ford Foundation grant to The Tamarind Lithography Workshop in Los Angeles in June of 1963, we met again when Bill did a guest lithography print, titled Mr. No at Tamarind. Our paths were destined to continue crossing. From 1963 to 2000, we collaborated on prints and sculptural multiples in my four workshops, Gemini Ltd, Gemini GEL in Los Angeles, and Tyler Graphics Ltd. in Bedford and Mt. Kisco, New York. In 1966, I invited Bill to Gemini to do a series of thirteen lithos, which were very successful and made it possible for him and his wife, Barbara to move to L.A. Bill frequently visited the workshop, photographing and socializing with other visiting artists while continuing to make prints with me. 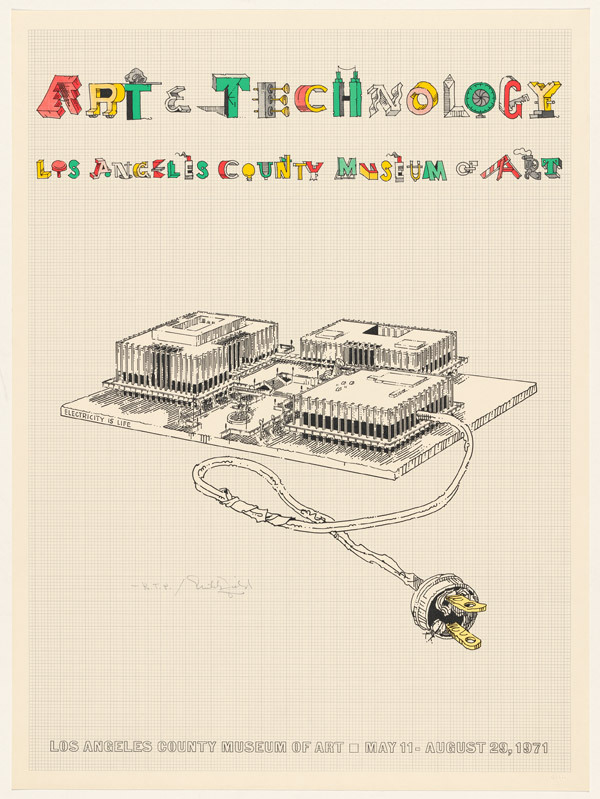 For example, he documented many exciting collaborations in his drawings that he made for the Los Angeles County Museum of Art, Art and Technology catalog. We travelled to the East Coast together, meeting with Josef and Anni Albers and other artists with whom I was publishing. He accompanied me on many of my visits to manufacturing firms that I was working with on artist projects. 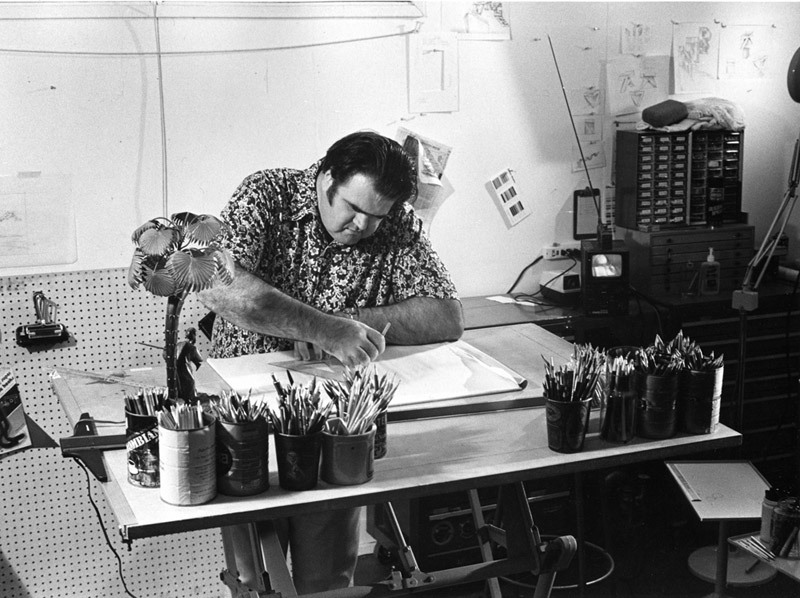 Bill was able to use some of these firms for his own sculptural works. 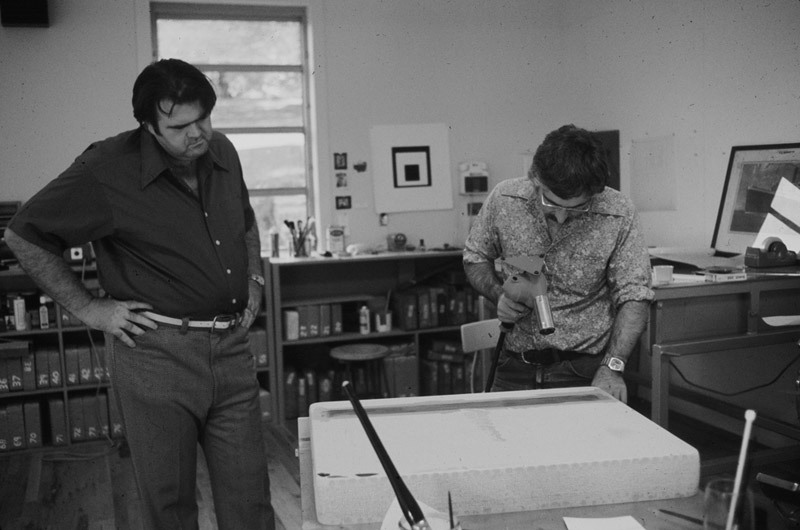 As a trusted confidant, we exchanged many views on collaboration and the state of printmaking at the time. During even light-hearted chats, he always had insight, adding depth and his unique, often whimsical viewpoint. After I left L.A. in 1974 and started my new workshop, TGL, in Bedford, NY, we kept in close touch. 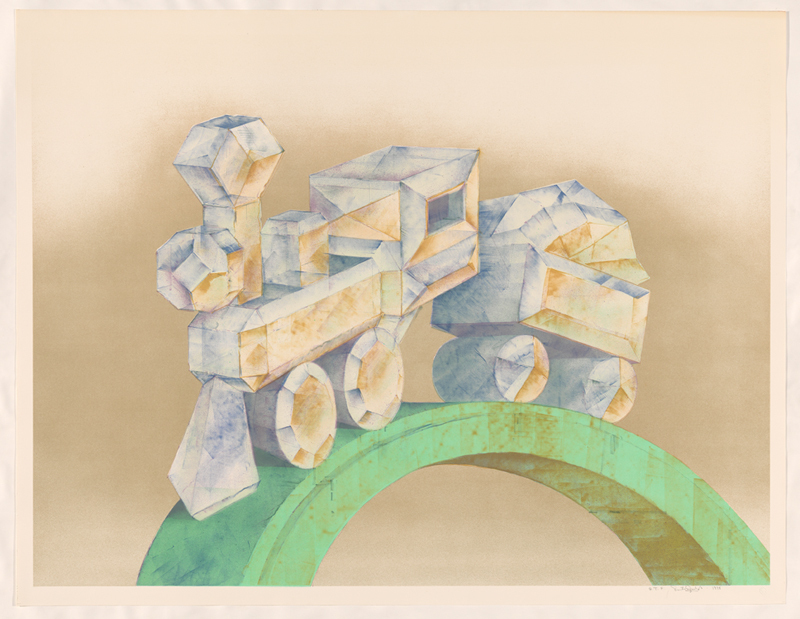 On several visits to Bedford in the 70s, Bill made large color lithographs of trains and ships and worked with pattern makers for making bronze castings of sculptures of numerals and letters. When Marabeth and I started work on the Singapore Tyler Print Institute (STPI) project in the late 90s, I had many conversations with Bill about the project. In 1999 I commissioned Bill to commemorate the planned opening in 2000 of STPI with a color lithograph. With his usual satirical style, he composed an image of all the workshop presses and equipment being towed by a series of barges across the ocean from NYC to Singapore, with Marabeth and I at the helm of the ship and dolphins swimming at our side, welcoming us into the Singapore harbor. 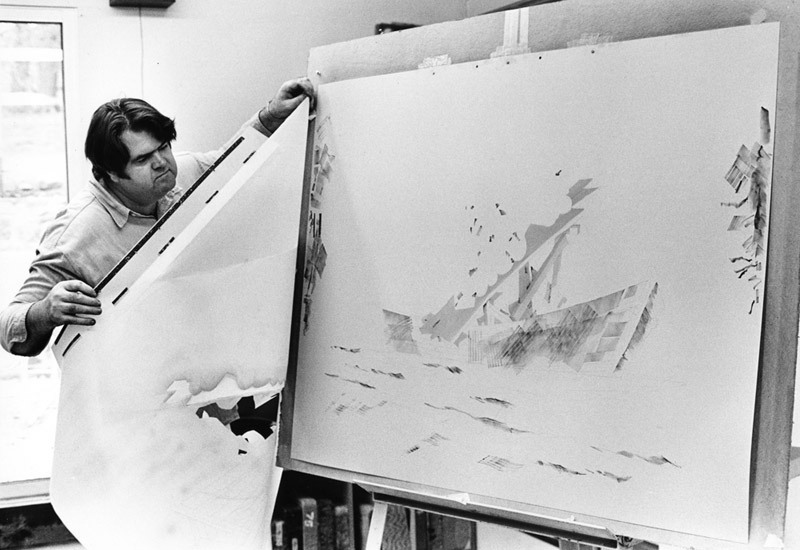 I wish I could draw a similar image of all of Bill’s works being towed to some place for all to see the wonderful body of work he joyfully made in his lifetime. 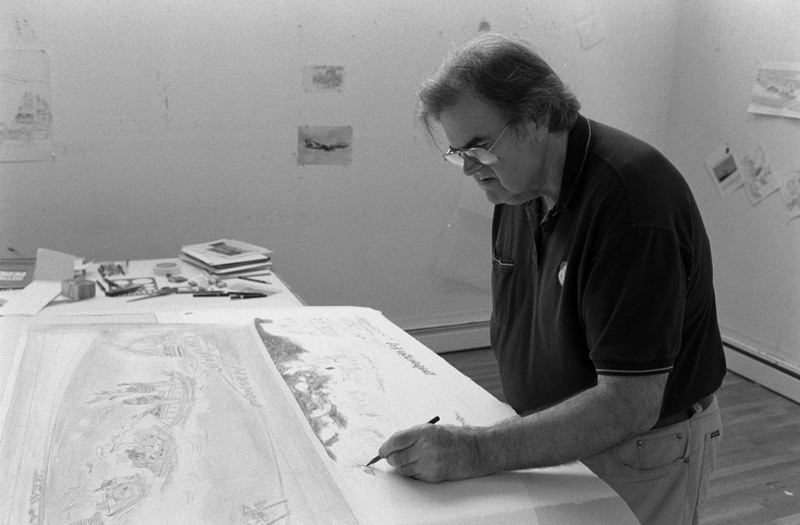 For those of us who were fortunate to have known and worked with William Crutchfield, we will continue to be rewarded by enjoying his art and our wealth of memories. I recently came into possession of four signed and numbered framed pieces of art by William Crutchfield. They are all professionally framed as well. I am looking for more information on them as well as their value. Two look to be prints from a gallery in Los Altos called Rubicon Gallery. The other two look like actual lithographs or something. One is numbered 6/20, the other has “artist proof” written in pencil next to the signature. If there is any way that someone more familiar with his work can either help me identify and price these or can point in the right direction as far as someone else who might be able to help, please contact me. I would be happy to send you pictures of all of them, including the signatures, etc. Please feel welcome to email photos of your works to tylercollection@nga.gov.au. As an Australian Government organisation we are unable to provide valuation services, but we may be able to assist in identifying your works.